Professor Ed X. Wu, Chair Professor of Biomedical Engineering and Lam Woo Professor in Biomedical Engineering at the Department of Electrical and Electronic Engineering has been awarded the 12th Guanghua Engineering Science and Technology Prize by the Chinese Academy of Engineering (CAE). He attended the presentation ceremony in Beijing on May 30, 2018. The Guanghua Engineering Science and Technology (EST) Prizes, composed of “Guanghua EST Achievement Award” and “Guanghua EST Award”. The prizes are awarded once every two years and considered as the highest national honour in the field of engineering and technology. 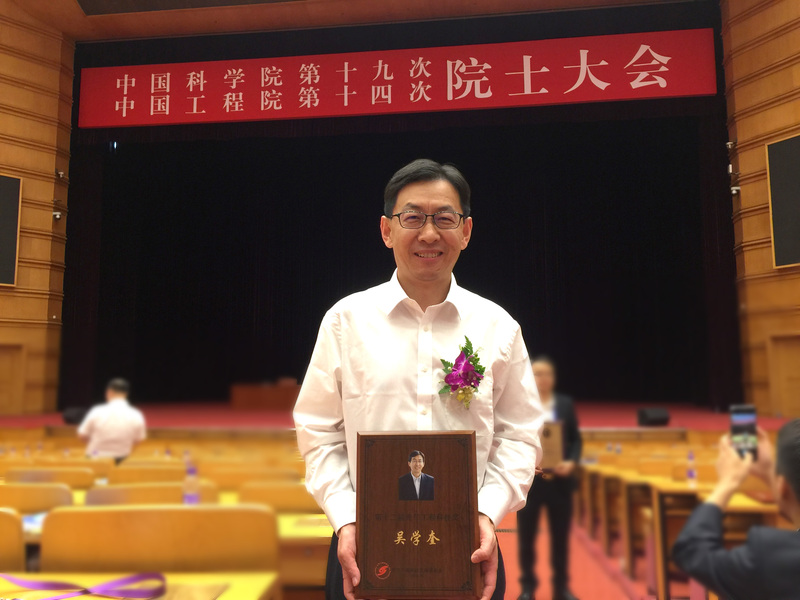 Professor Wu is another HKU scholar to win this prestigious award after Electrical and Electronic Engineering Honorary Professor Chan Ching-chuen who was awarded in 2016. This year, 30 awardees were selected from 296 candidates for the top honour and there were 3 Hong Kong scholars got this prestigious award. All the three Hong Kong awardees, including Professor Ed X. Wu, were nominated by the Hong Kong Academy of Engineering Sciences (HKAES). The other two awardees are: Prof. You-Lin Xu, Chair Professor of Structural Engineering at The Hong Kong Polytechnic University and Professor Jian Lu, Chair Professor of Mechanical Engineering at the City University of Hong.